Revolutions that take several years and considerable time to bring about major changes are more commonly defined as progress, evolution or innovation. However, this does not deny their revolutionary nature: this comes to mind when considering what is happening today in the world's largest industrial conglomerate, General Electric. 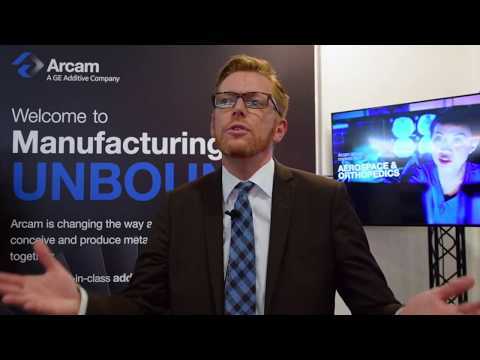 Just look at what is happening particularly in the technology known as additive manufacturing, namely metal 3D printing, without counting all the other ongoing techno-digital developments happening at GE. As part of GE Aviation, Avio Aero takes on more than just a pioneering role in adopting additive manufacturing in a hyper-complex industrial environment like aviation, even before opening its modern factory in Cameri (Novara) in 2013. It shares this expertise for its own growth, as well as the growth of the new GE Additive business, through the latter's subsidiary Arcam. Arcam, since September 2016 majority owned by GE, is the Swedish company that starting from 1997 has been manufacturing EBM (electron beam melting) machines. These use a computer CAD drawing to guide a beam of electrons, which melts together metallic powder to create objects through a highly reliable process with countless advantages. The latter are well-known: weight reduction, ability to handle very complex designs, excellent mechanical properties of the product, reduction of costs and waste due to lower consumption and handling of the raw material, the metal powder. There are currently 21 Arcam machines at the Cameri Avio Aero plant, and this number is expected to grow, but not simply to face the production of turbine blades for the brand new GE9X engine, components for helicopter engines or other components of new aircraft engines. Their number will also grow to "boost production and capabilities in terms of additive manufacturing for Avio Aero, with larger, more powerful and even faster machines", said Mathias Kremer, Arcam's Key Account Manager dedicated to our business, which for him represents a paramount customer. "I've admired Avio Aero from the moment they started working with us, as a pioneer in using this technology, all the more because they used it for moving, rotating parts." To produce a batch of 6 blades for the GE9X's low pressure turbine at Cameri with an Arcam EBM machine, it takes about 3 days once the designs are sent to the machine and processed as a path for the electron beams to operate on a pile of metallic powder (in the case of these blades, it uses TiAl, Titanium Aluminide, an extremely valuable alloy) to create from the bottom up a product that will fly on an engine. As a fanciful parallel, a 3D printer uses metallic powder in the place of ink like a classic printer would. The powder at the center of this process is an extremely important element: the Cameri factory has an atomizer that "sprays" titanium or TiAl ingots, and at the same time Arcam, through its Advanced Powders and Coatings (AP&C) specialized division, produces high quality metallic (based on titanium and nickel) or alloys powders. This material is at the root of the revolutionary additive technology, and is the basis for the products that can be produced thanks to it, with all the advantages listed thus far. The powders that Arcam produces using Advanced Plasma Atomization technology and thorough research on powder materials and processing are microscopically spherical and highly malleable for the production process of EBM's machines. In addition, the Swedish company will become even more specialized in 3D raw materials for metallic printing, thanks to the imminent opening of new powder research and development centers. The projects on which Avio Aero and Arcam are currently working together focus not only on improving the performance or capabilities of the machines, but also on the optimization of the process, design and powders. The surprising aspect of this way of working is that two relatively new businesses in GE (Avio Aero just celebrated its 4th year in the family) already clearly understand the sense of collaboration and mutual exchange of know-how that is characteristic of the philosophy also known as GE Store.